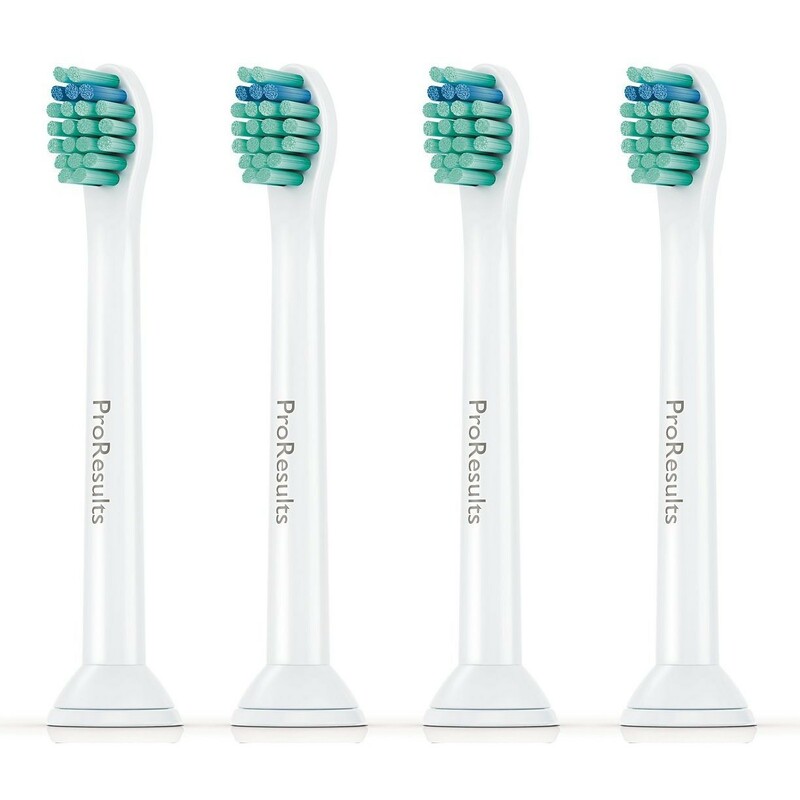 When you use Philips Sonicare ProResults mini sonic toothbrush heads, the contoured bristles effectively remove plaque from the surface of your teeth. The sonic motion of the toothbrush is enhanced, leaving your teeth looking whiter. The radial­-trimmed bristles on Philips Sonicare ProResults mini / compact sonic toothbrush heads increase contact with your teeth. With every stroke, the sonic motion and angled bristles sweep plaque away, leaving teeth whiter and healthier. Why should you buy these sonic toothbrush heads? Your teeth will benefit from enhanced sonic motion and contoured bristles when you fit Philips Sonicare ProResults mini heads to your sonic toothbrush.